BComplete is the online platform that customers of the John Hancock Retirement Plan Services enterprise (shortened as John Hancock) can use in order to access a number of services and features. The company specializes in service programs and the planning of various administrative services with the help of the financing of a sponsor. Said sponsors administrate and fund certain projects and investment options on behalf of the participants to a plan. Users can use the BComplete service to access their account balance and make various management and changes to it. All of these things are readily available to the clients of John Hancock with the help of the BComplete platform. 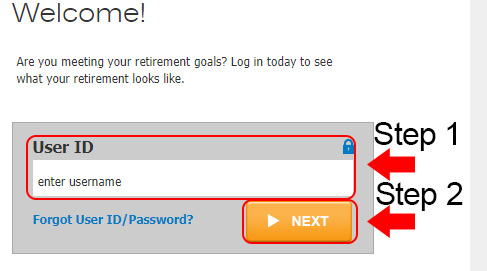 In order to gain access to it, all you need is to grab an account and then log into it. The following BComplete login guide will show exactly how to do that, so keep reading. Firstly, all users of the platform need to be in possession of an account in order to be able to access it. This is why, before getting started with this guide, you should make sure that you have already registered one. First of all, head to the BComplete homepage at the address wwwcd.bcomplete.com. Next, type your user ID in the area with ‘user ID’ label on it. Continue with your password. For security purposes, you will have to click Next to reveal the blank field which you will use for password input. Doing so will result in navigating to a new page. Lastly, in the new empty field, enter your password and complete the sign in process simply by clicking the button underneath. For those of you that would like a portable alternative to log into your account, you can easily do that using a mobile device as well. The mobile login differs from the web version, so pay attention to the guide we have detailed and follow the procedure carefully in order to get the results that you’re looking for. To begin, launch your browser of choice and access the homepage. Once the page has loaded, you will notice a message which displays to the user three options: continue to the mobile site, load the full site, or use the Google Play app. Select the mobile site version and then move toward the login sections. In the blank field at the top, type the user ID. The different thing about the mobile login is that you will need to type in your PIN, which is a number that differes for the web version. *Note: You will notice the fact that the website talks about a mobile app, but it appears that it’s been removed in the meantime and it’s no longer available. Have you forgotten your login credentials? In that case, simply follow the Need help logging in? link from the login portal. This will open a new page, where you can find the instructions you must follow in order to recover and reset these credentials. For any other issues and troubleshooting, including technical types, click on the Help button on the top right of the login portal to reveal contact details and a FAQ with common issues.